The ‘Joint Sea 2017’ drills of the Russian and Chinese naval forces have begun the first stage of major exercises, marking the first time they have taken place in Europe. As the Chinese ships entered the Russian sea port of Baltiysk on Friday, the first phase began, with the active phase commencing on July 24. While the Baltic stage of the exercises is set to last through July 28, the second phase of the Joint Sea maneuvers will be held in the Russian Far East, the Sea of Japan, and the Sea of Okhotsk in September. 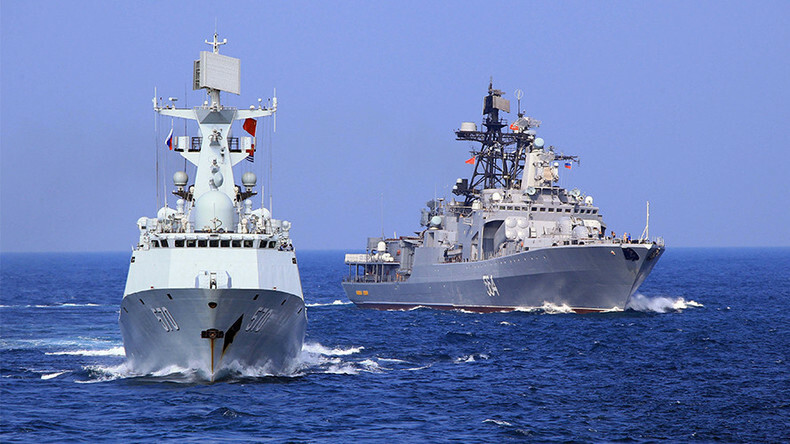 “This is the first visit of Chinese fleet in Baltiysk in the history of the Russian-Chinese relations,” Tass agency quoted Russian Baltic Fleet spokesman Roman Martov as saying. Joint Sea 2017 will feature China’s most advanced military vessels, including the Type 052D missile destroyer Changsha, missile frigate Yungchen, and the Luomahu supply ship, which concluded live-fire drills in the Mediterranean last week. — RT (@RT_com) 20 июля 2017 г. The Russian Navy will deploy the latest class corvettes – Steregushchiy and Boiky. In addition, nearly a dozen aircraft and helicopters from both sides will take part. “The key goals of the exercises are to increase the efficiency in cooperation between the two fleets in countering security threats at sea, to train compatibility of the crews of Russian and Chinese warships, to strengthen friendship and cooperation between the Russian Navy and the Naval Forces of the Chinese People’s Liberation Army,” the Russian Defense Ministry said in a statement. Joint Sea 2017 will include anti-submarine warfare and air defense drills. These regular drills, which started in 2012, are not targeted against any other state and only contribute to strengthening security in the World Ocean, the Russian Ministry of Defense noted, as reported by Interfax.